Sunset over Marina Mall, Abu Dhabi, UAE. .... when the sun slips through the clouds. Taken in the second city I called home, featuring the best part of Abu Dhabi - its lovely Corniche, and Marina Mall across the water. That's a beautiful shot Shalom! Makes me think of Abu Dhabi very differently to what I remember it being. Thanks Sha'ira! 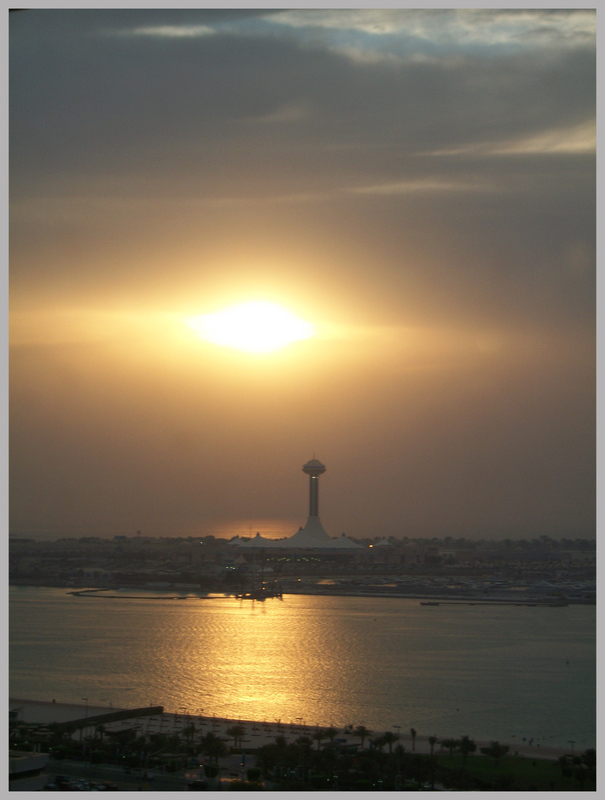 In my experience of Abu Dhabi, such sunsets are few and far between. But even without the golden glow, it has become a beautiful city.